Whole Foods Market plans to end future development of its two and half year old 365 concept. Despite previous plans to grow the new banner in a effort to better compete with Trader Joe's, Sprouts Farmers Market, and others, Whole Foods CEO John Mackey told employees recently the company will not open new Whole Foods 365 stores anymore, according to an internal email reviewed by and reported by Yahoo Finance. The existing 12 stores, the newest of which just opened in Buckhead and Decatur December 12, will remain open for the time being. With two stores, Georgia was tied with Texas for second most 365 stores. California, originally slated to receive at least ten 365 stores, currently has five open and operating. Mackey said the main reason behind the strategy shift is prices. “As we have been consistently lowering prices in our core Whole Foods Market stores over the past year, the price distinction between the two brands has become less relevant,” Mackey wrote on January 9. “As the company continues to focus on lowering prices over time, we believe that the price gap will further diminish.” “Learning and innovations from 365 have been incorporated into Whole Foods Market and the company will continue to innovate and experiment,” a Whole Foods spokesperson said in a statement. Launched in 2016, 365 stores heavily feature Whole Foods' less expensive private-label "365 Everyday Value" products, designed in an effort to lure cost-conscious shoppers who have avoided the premium store, referred to by some as "Whole Paycheck." 365 products are definitely viewed by some as better than typical store brands, but they don't have the same cache as Kirkland Signature from Costco. Kirkland Signature, the private label brand from the warehouse club, accounted for a whopping $39 billion in sales in 2018. In May 2017, a year after the first 365 store opened and one month before Amazon announced its $13.7 billion acquisition of the chain, Mackey told investors Whole Foods had twenty-two 365 stores under development in the U.S. and they would be increasing that number. One 365 store has already closed, this at Bellevue Square in Seattle, Washington. The store, the third overall to open in the chain, debuted September 2016 and closed abruptly in October 2017. The center's owners took Whole Foods to court seeking that they make good on at least the first 10 years of their 20 year lease. In December 2017 a judge then ordered the grocer to reopen the store within 14 days. The case subsequently went back and forth in court, the most recent ruling occurring this past December when a state appeals court ruled that the grocer would not have to reopen their shuttered store. According to The Seattle Times, "The court sent the case back to the trial court to decide on next actions." At least one previously announced 365 store never opened and has since been assumed by another grocer. Simon Property Group demolished a former Sears at College Mall in Bloomington, Indiana for what was supposed to be Whole Foods Market 365, but after months of rumors and stalled construction, Fresh Thyme Farmers Market, a small grocer based in Downers Grove, Illinois, opened this past August in the space originally leased to 365. Elsewhere around the country, other communities and developers are likely waiting with bated breath to learn more about future plans for the previously announced 365 stores. One such store is in Toledo, Ohio, where Fairburn, Georgia-based S.J. Collins, a prolific Whole Foods developer, leased its 30,000 square foot anchor space at Secor Square to Whole Foods for a 365 store. Local reports indicate the store has been delayed for years, and that "coming soon" signage finally went up mere days ago, but that its future is unclear in light of recent events. There are currently no 365 stores listed as "coming soon" on the Whole Foods website. S.J. Collins, who previously developed (and has since sold) Peachtree Station in Chamblee, also developed North Decatur Square, where one of the two Atlanta area 365 stores opened last month. According to the firm's website, a 365 store was also to anchor the company's Delray Beach Plaza redevelopment in Delray Beach, Florida. 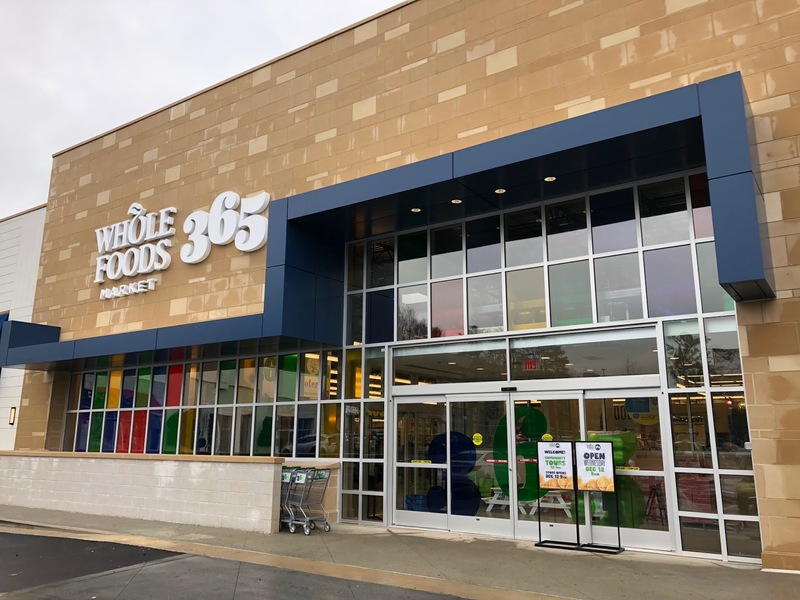 Although not officially confirmed, conflicting site-plans and marketing materials indicate the firm may already be planning for the store to open as a Whole Foods Market rather than the 365 banner. At least one 365 store has been officially abandoned. The store, set to anchor a development being pitched as "Village 605" in Los Alamitos, California, was confirmed to have been cancelled shortly after Amazon's purchase of Whole Foods. Another California 365 store planned for San Francisco, appears to be dead, too, years after a battle with city officials to get the store approved. The site of an unopened 365 store at Bijou Marketplace in South Lake Tahoe, California was being marketed for sale for $14M this past November, citing a 20 year lease the developer signed with Whole Foods. It's unclear if this 28,000 square foot store will ever open as a Whole Foods Market or anything. A number of other previously announced California 365 store remain unbuilt, and their future unclear. Last May, at Butler Town Center in Gainesville, Florida, Whole Foods opened a namesake 40,000 square foot store instead of a 365 store, as was originally announced. This past November, Whole Foods finally filed for permits for a store at Kenwood Collection in Cincinnati, Ohio , more than three years after it was originally announced. Its future is uncertain. In Evergreen Park, Illinois, a long delayed 365 store at Evergreen Plaza is still delayed and potentially cancelled. The discontinuation of the 365 stores comes at a time when Whole Foods is planning to strategically expand its flagship brand. Real estate sources indicate that Whole Foods is looking to open more stores in locations with more than 45,000 square feet and is eyeing sites that used to host retailers like Sears and Macy's. In select cases, Whole Foods could open full-line stores in place of previously announced 365 stores, or even convert existing 365 stores to the Whole Foods Market banner. ToNeTo Atlanta spoke last year with real estate professionals involved in both North Decatur Square and Paces Ferry Plaza, both of whom indicated that they were aware that Whole Foods would convert both of the Atlanta 365 stores to full line stores if the concept proved unsuccessful. In the case of the Buckhead store, it's about three miles from the full-line Whole Foods Market at Buckhead Market Place, and with the full-line store in Buckhead already one of the chain's most productive in the region, there is reason to believe the community could support a second store. 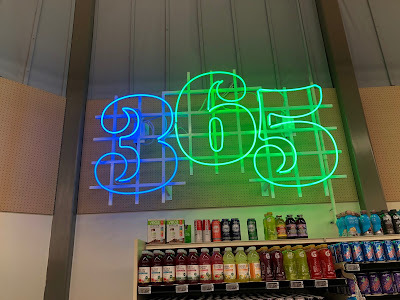 As for Decatur, the new 365 store is about five miles away from the Whole Foods Market at Briarcliff & LaVista Roads, the chain's first and smallest store in Georgia. ToNeTo Atlanta exclusively reported this past November that Whole Foods plans to close the Briarcliff store this coming April, a move that been reiterated and confirmed by store employees in recent days. The imminent closure has been met with harsh criticism from neighbors, most of whom have pledged that they will no longer support the grocer if they close the Briarcliff store. Have you been to either of the new Whole Foods Market 365 stores in Atlanta? Do you think Whole Foods has genuinely gotten cheaper following its acquisition by Amazon? Where do you do the majority of your grocery shopping? I enjoy the new Whole Foods 365 on Northside Pwky. It beats having to deal with the Buckhead traffic at the location down the road. The prices are about the same as the Publix across the street and even cheaper if you have Amazon Prime. I like the smaller store concept and hope that this location does well. I think the 365 location will see different foot traffic because of the location next to 75 and people will stop by during their commute home. My only complaint is that the produce hasn't always been fresh and up to Whole Foods standards and one day they were out of a bunch of meat. After they work out those kinks I know this location will be a winner. At some point Whole Foods is going to become a Supercenter much like Wal-Mart and Target. 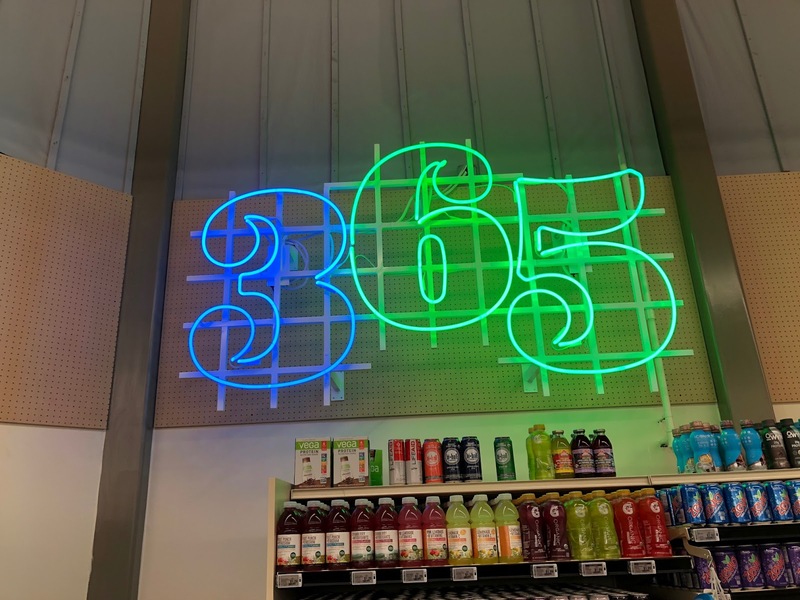 I've been to one of the new 365 stores in Atlanta and the only immediate observable difference to me was the buildout of the store, which I actually like better. It did seem funny to me that a store designed to be a lower-cost store had a dtox store inside selling $9 smoothies. So does this mean that since they are totally mixed up, there is still a fighting chance on the Briarcliff WF??? It's hard to get confirmation that this still means that WF at Briarcliff will close though what I keep hearing is that indeed it will. I don't totally understand this because no one leaving Emory or the CDC is going think "I'll just zip over to WF over at Church street and be in and out in a jiffy". That's totally insane to even think like that what with the grid lock traffic between Emory/CDC and Decatur. On the other hand I think Amazon./WF knows this and they simply don't care because they believe they will get more than enough income from the two new 365 stores that closing the Briarcliff locale is not an issue. The better question might be what will replace WF at that corner ? I hope not another cookie-cutter, generic, pre-fab town home complex that will have driveways exiting to and from LaVista and Briarcliff. People trying to turn left into and out at rush hour would be a night mare but of course this is Atlanta and no one ever cares about how construction impacts traffic. They just build and let the wrecks happen. People turning left out of WF into Lavista now are dangerous - many don't care they just speed out causing oncoming traffic to slam to a halt because the WF exiting traffic are too special to wait. I've been to the 365 store at Decatur a couple of times. It's great for produce and dairy but less so for other items. The upstairs bar area is a waste, and it's rude to force customers to go up there to use the restroom. I like the WFM on Briarcliff and would be sorry to see it go. It is more convenient for us than the Ponce location. If it does close we will just rely more on Kroger and Publix, which are carrying more organic items all the time. As an Amazon Prime member I was a fan of the 365 concept when I thought it was to be a competitor of Trader Joe's. I live in Decatur and was excited about the new store that would be in direct competition to Sprouts and an option to the higher priced Publix. Unfortunately the only bargain in the store is the produce, bulk goods section and some frozen foods other than that I can do better elsewhere. Based on this Amazon might as well go back to the traditional Whole Foods concept. I doubt overall pricing will come down as WF advertises and the 2nd floor concept in the Decatur store is a waste of square footage. I continue to hope Trader Joes decides to come to Decatur, GA and bring some real competition to the area.